Villa Serena's peacefulness, harmony and elegance invite relaxation and rest. 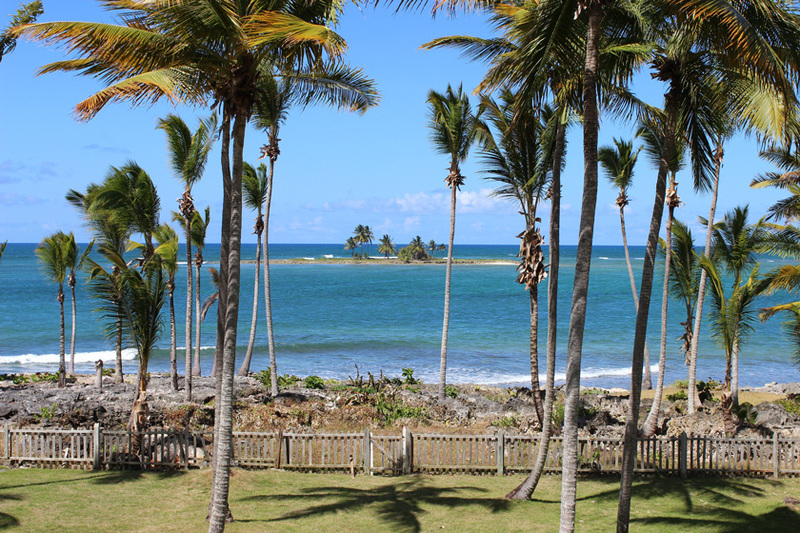 Its pristine tropical setting offers exploration and adventure. Check out this piece of paradise! In the very well-kept garden one lies under palm trees, with a view of the sea and the mountains. The water is pleasantly warm and very clean; the small island in front can be reached by swimming. The restaurant is very good, everything is freshly prepared and special wishes are not a problem. If you are looking for peace, you will find it here. A dream. First of all thank you for a great and wonderful stay! The residence with it's 20 rooms offers a familiar atmosphere and the perfect surrounding to get rid of all our daily stress and the negative properties of a common city life. Especially the splendid ocean view, the panoramic view to the garden, the incredible air quality as well as the calming quiet around us will certainly make us come back again to your place. The most important day of our life, in the most beautiful place in the world! We felt in love few years ago with Villa Serena, it was really love at first sight. Then we decided to get married there last November and it was amazing. The Villa, the place, all the people and staff…they really made the time of our life! We will remember it for our entire life and they are now part of our memories. Thanks Villa Serena, it was really a pleasure to meet you all and we’ll surely come back as soon as possible. Villa Serena is fantastic to cleanse your ears from noise pollution and enjoy pure silence. You blend completely with the natural setting and above all - with your romantic partner! We remember our stay at Villa Serena with great pleasure. Those two weeks were like a dream. The room was prepared wonderfully for our silver wedding – a four poster bed, swans made of towels, and hibiscus flowers all around. The service was just perfect. All the staff was so kind, open and helpful; they have fulfilled all our wishes. Especially Kervin at the reception was extremely friendly. From an early morning swim, followed by a breakfast with fresh fruits and juices, in the beautiful garden, to a daiquiri and a glass of Brugal in a deck chair or a hammock - every day was a pure Caribbean retreat. Thank you so much, we're looking forward to seeing you again! We can't say enough nice things about Villa Serena. We got married there in January 2016 and had the most amazing experience. The hotel, grounds, and location are gorgeous while Marina and the other staff went above and beyond making sure that our guests were taken care of. She fielded questions via email and Skype for months before the event and in addition to the ceremony and the reception, helped us organize a welcome party, a group outing to Playa Rincon, and rehearsal dinner at a nearby restaurant. All were fantastic! If you are considering staying at Villa Serena (or having a destination wedding there), DO IT. It's a lovely, serene place to relax and watch the waves. We will definitely be back! My profound appreciation must be expressed for the marvelous and successful cinematic event at Villa Serena during the screening of Planet Ocean in Samana. Our audience was overflowing the lobby with local citizens who were very engaged and wanted to learn more. Several expressed their desire for more educational engagement through cinema and documentary cinema of great quality. The management and staff of Villa Serena were gracious and professional and hosted the event in a warm and caring manner. What a beautiful ocean location to have been treated for a night... All was perfection. It has been great! Thank you very much for everything. Your attentions have been amazing and we felt as home. The hotel is beautiful and really honors its name. We hope to come back soon! We thank DREFF for bringing films to unreachable places. Coming to Villa Serena for the DREFF event was a wonderful experience. The people of the hotel and the village made me feel welcome and I wish I could stay much longer. The hotel is fantastic- I felt like I was on vacation! I was very impressed how well-organized the event was. The Film was a success because the organizers of DREFF had arranged EVERYTHING! One of the most well-planned Festival I have attended. We would all go back in a minute and had heavy hearts when we departed. Thank you, Villa Serena! It is not very often that a traveler's expectations are exceeded, but my husband, daughter and I recently spent several (not enough) nights at Villa Serena. We were pleased in every way. The room was large, clean, nicely appointed and had a beautiful view through the French doors and from the balcony. The staff was friendly, helpful and courteous. The grounds immaculate and the calm and serene atmosphere most welcome. The food was delicious, service excellent and the chef even took the trouble to prepare some special gluten free breads for us every morning. Our particular favorite was the Yucca bread. I really cannot say enough nice things about this wonderful (and very reasonably priced) destination. We’ll never forget that very special day! Never, never, never! "Our stay in Villa Serena was a dream!!! We were delighted!!! Our wedding was so beautiful, fantastic, marvelous; the whole Villa Serena team had prepared it with so much love and care! We’ll never forget that very special day! Never, never, never! Thank you so much for everything." Our batteries are fully charged till our next visit! "We arrived tired, depleted and irritable; it was difficult to adjust to the climate and we were scared of the toads. We returned tanned, maybe a little bit burned, and full of vitality. Our batteries are fully charged till our next visit!" Thank you, Villa Serena! Villa Serena is as beautiful and magical as you can imagine. It lives up to its name and surpasses all expectation of Serenity. It is a wonderful and a gem of a place to get in touch with your inner self and delve into new endeavors or to deepen your practice. I felt its magic and beauty and wished that I could stay for a long long time! Even after one week, I felt rejuvenated. Villa Serena is truly a paradise on Earth and every detail exquisitely thought through - from finding flower petals on our bed to the beautiful manicured gardens that allow the wildness of the tropics to shine through. What a joy not to have technology and just the peace of the beautiful ocean while laying in comfort and sipping on the fine drinks so well made. The staff are incredibly gracious and hospitable and made us feel like a king and queen. The food at the hotel is scrumptious and the rooms are so restful with beautiful and comfortable private verandas and spectacular views. We will never forget our wonderful stay at Villa Serena. 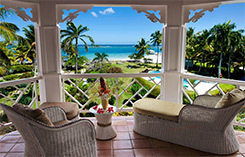 "A fascinating vacation in a dreamlike hotel, crowned by the splendor of the Caribbean sun and sea! Villa Serena is a place to Relax, Restore, and Renew. Villa Serena is a place to Relax, Restore, and Renew. The view is magical. The food is locally grown and caught, prepared with love. The staff is helpful, thoughtful and friendly. Treat yourself. Heal yourself. Return to yourself at Villa Serena. Whether you want to receive the world's best massage, snorkel/scuba/kayak is some of the most magnificent waters, hike exhilarating water falls, horseback on wide, sandy beaches, or read a book in the hammock, Villa Serena can offer it all. "When I walked into the lobby and saw the mesmerizing blue of the Carribean water all of the stress that I had carried with me from my hurried life in DC just melted off my body and I was able to take a deep full breathe and know that I did not have a care in the world for the next seven days !"